Wake up your neighbors: the United States women's hockey team finally beat Canada to win the Olympic gold. Maddie Rooney, just 20 years old, made the save of her life in a shootout that went to extra shots to give the U.S. women their first hockey gold since the 1998 Olympcs in a 3-2 win. That thrilling result on Thursday in South Korea came on Team USA's most prolific day yet, though it also featured heartbreak for Lindsey Vonn, who saw her last, best chance to win a gold medal vanish in an instant in the slalom portion of the combined. Mikaela Shiffrin held on for a silver medal -- her second medal of these Olympics -- while Vonn, the last skier to race in the slalom after winning the downhill portion, hooked a tip around a gate near the top of the course and was out. Elsewhere, Jamie Anderson picked up a silver in a hucking awesome debut for snowboarding big air at the Olympics, and Team USA's David Wise and Alex Ferreira went 1-2 in the men's ski halfpipe final. If the LIVE blog isn't working for you, please click here. Women's alpine skiing (combined): Lindsey Vonn will get another shot to get an Olympic medal, while Mikaela Shiffrin will be back on the snow as well in the combined, which pairs a downhill run with a slalom. 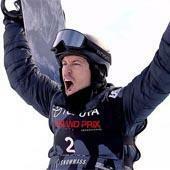 Men's freestyle skiing (halfpipe gold medal final): Team USA veteran David Wise, the reigning gold medalist from the Sochi Games, is the favorite to finish No. 1 once again, although his first run earlier this week had some on edge thanks to an uncharacteristically poor score. Fellow Americans Aaron Blunck, Alex Ferreira and Torin Yater-Wallce are also set for the finals, meaning the U.S. could realistically sweep the podium. Women's ice hockey (gold medal game): Can you smell a grudge rematch? After the U.S. ran over Finland and Canada did the same to the Olympic Athletes from Russia, Team USA and its northern neighbors are set for a title bout for the third straight Olympics. Canada has had the upper hand in the series history, winning the last three meetings between the two sides and taking a preliminary matchup, 2-1, but the U.S. women thoroughly out-shout Canada during that first go-round in Pyeongchang. Men's alpine skiing (slalom gold medal final): After Ted Ligety's disappointing Pyeongchang performance for Team USA in the giant slalom, this one will cap Wednesday's late-night action. Austrian champ Marcel Hirscher, the giant slolm gold medalist, was a silver winner in this event back in Sochi. TV: The following channels will broadcast a variety of Olympics events throughout the day: NBC, NBCSN, CNBC, USA Network. Live stream: NBCOlympics.com and the NBC Sports app will combine to present more than 1,800 hours of streaming coverage, including live streaming of all NBC network Primetime broadcasts. The NBC Sports App will present live streamed and on-demand coverage of all competition across all 15 sports and 102 medal events. You can also stream all of NBC's coverage on fuboTV (try for free). For a full schedule of events on Wednesday, click here.